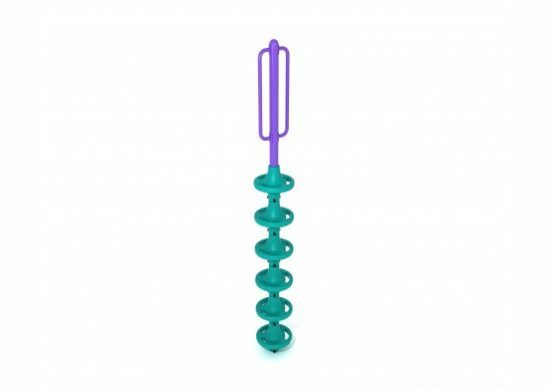 The 6 Pods Free Standing Pod Climber is our tallest model of Free Standing Pod Climber, with 6 circular steps stacked into a column. They have a sturdy metal post which runs through the middle of each of them, and into the ground. 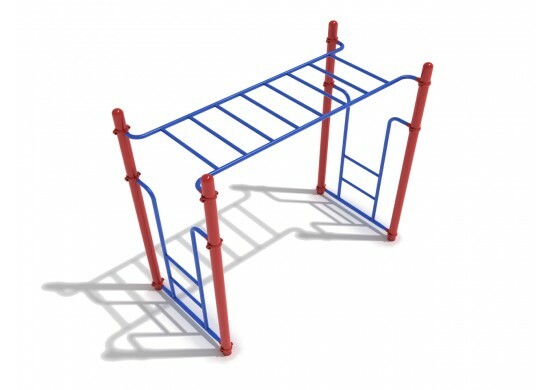 This makes the structure incredibly stable, ensuring that it will not shake or wobble despite its height. The central post also contains a vertical handrail which extends above the top step, giving kids a safe place to hold onto as they stand on the top step. The circular steps used in our pod climbers have a specialized shape which allows them to be climbed from any angle, and allows them to be used as both hand and foot grips. 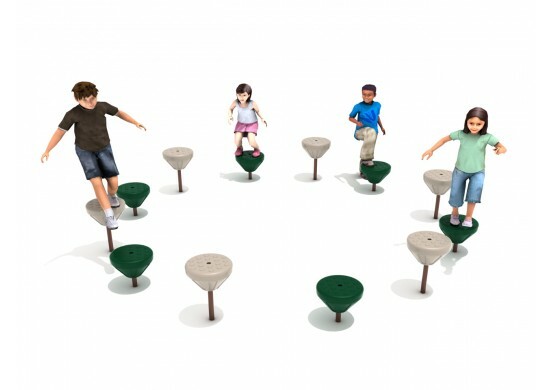 It goes well when installed next to other, shorter pod climbers, so that children can step across the tops of them to reach the highest one.